When you go out to dinner, do you ever order a big juicy steak and then not finish it because it was too much? And of course you don’t pack it up to bring it home because leftover steak does not taste good the next day. Or does it? 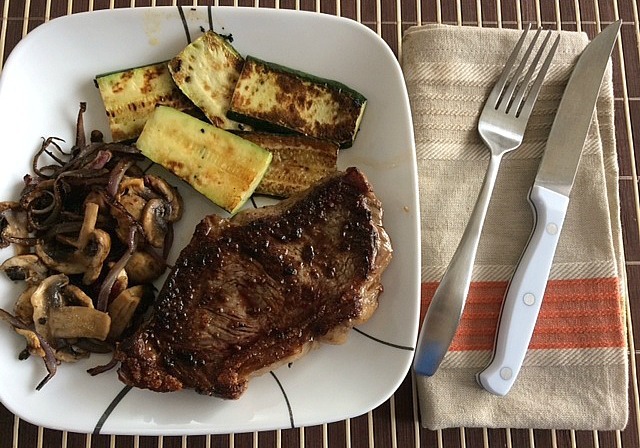 I used to leave behind that little bit of steak that was leftover until I figured out a great way to use it. I was actually inspired by my uncle who use to own a cheesesteak place a long time ago. This is a super easy recipe that you’ll enjoy every time. You can use all the veggies mentioned above or just a few, it still tastes really good! 1. Slice your leftover steak. 2. Heat a pan on medium with a little olive oil. 4. Add the mushrooms and leftover steak slices into the pan and mix everything together. Cook for a couple minutes. 5. Sprinkle as much grated cheese as you like and let it melt over the mixture. Add a little salt and pepper if desired. 6. Then you can eat it just like that or you get a bun, add a little mayo and lettuce and put the cheesesteak stir fry on top to make a sandwich. That’s it, you’re done! The perfect use for steak leftovers or even if you want to try something different for dinner. That looks delicious! What a great idea for leftovers. Ok, you’re making me hungry!!!!!! Great idea. 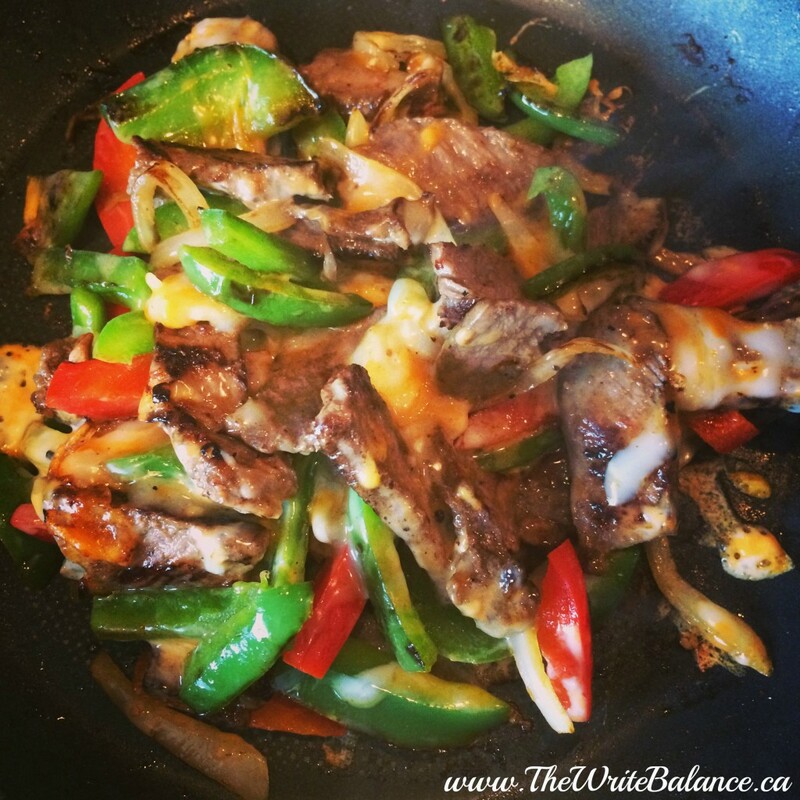 We use leftover steak in stirfry and in eggs for breakfast. I’m kind of getting hungry just looking at it my self Agi! Using the leftover steak for breakfast is a good idea. It’ll definitely stop those stomach growls lol. Great idea! Easy to make and looks delicious!